Our National organization began in May 1885 as one of the five Allied Orders of the Grand Army of the Republic (aka, GAR). At that time it was known as the National Alliance of Veterans (Daughters of Union Veterans). However, it did not begin in the state of Washington until the spring of 1912, when Sister Rachel Mong and Sister Lulu Blackmore, with help from the National President, Phillipine Schoeman, secured a Charter application for the formation of a Tent (local group) in Seattle. The efforts of these pioneers were augmented by others but especially by Sister Eliza Root McKercher, then State Department Secretary of the WRC (Woman’s Relief Corps) – another of the fie Allied Orders -- who became interested in the “Daughters” during that same summer. By October 23, 1912, the formal organization of Clara Barton Tent No. 1 of Seattle was completed with a charter list of 42. Department Commander, R. R. Harding of the GAR installed the officers. Through the efforts of these Seattle sisters, and with advice of the new National President, Nina Littlefield, interest in the organization was created in other parts of the state. In January 1913, in Vancouver, GAR Comrade Huston, instituted Tent No. 2 with a membership of 22. He was granted a special commission to install this Tent, which was named Marietta Huston in honor of his wife. The newly formed Department of Washington and Alaska held its first convention and installation of officers in conjunction with the GAR Encampment in June 1913. Image from the archives of the Dept. of Washington & Alaska, DUVCW 1861-1865. Click to enlarge. On March 19, 1913, Julia Dent Grant Tent No. 3 was organized in Tacoma with a membership of 26. Sister Mong, assisted by Sister Anna Ostrander, installed their first officers. Closely following came the organization of Lizbeth Turner Tent No. 4 in Spokane on June 17, 1913, with a membership of 19 sisters. At that time, four Tents of Daughters of Veterans in a state were required to organize a State Department. The application for a Department Charter was made by Sister Rachel Mong, as President of Clara Barton Tent No. 1. Representatives from the three Tents were called to meet in Bremerton, June 20 to 23, 1913, during the annual GAR Encampment. 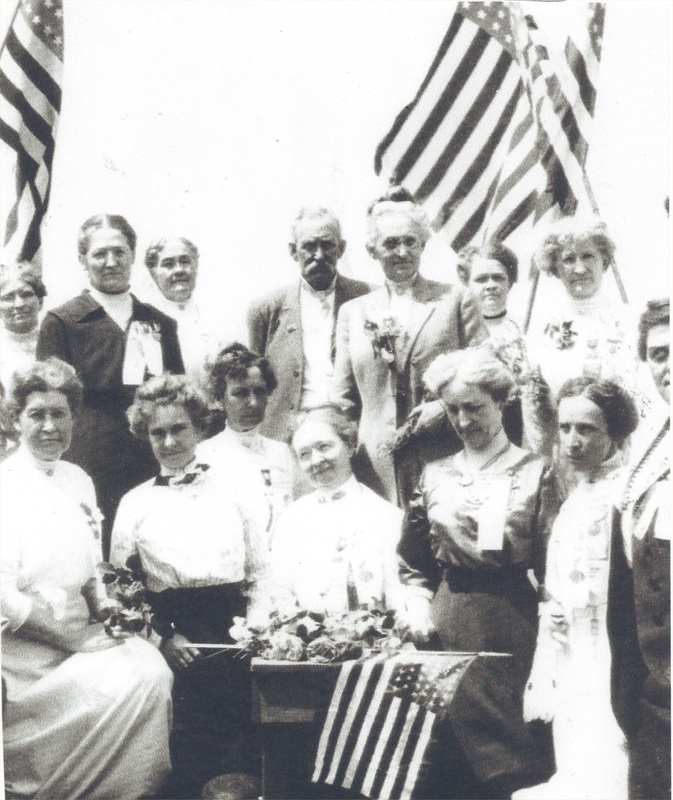 The first Department Convention of Washington and Alaska, National Alliance Daughters of the Civil War, was called to order in the Eagles Hall, Bremerton, June 20, 1913, by Rachel E. Mong, President of Clara Barton Tent No. 1, Seattle. Officers of the new Department were installed on the lawn of the Soldiers’ Home (now known as Retsil) in Port Orchard, by Department Commander, John E. Stewart of Spokane, on June 21, 1913. The first President of the Department was Sister Eliza R. McKercher.